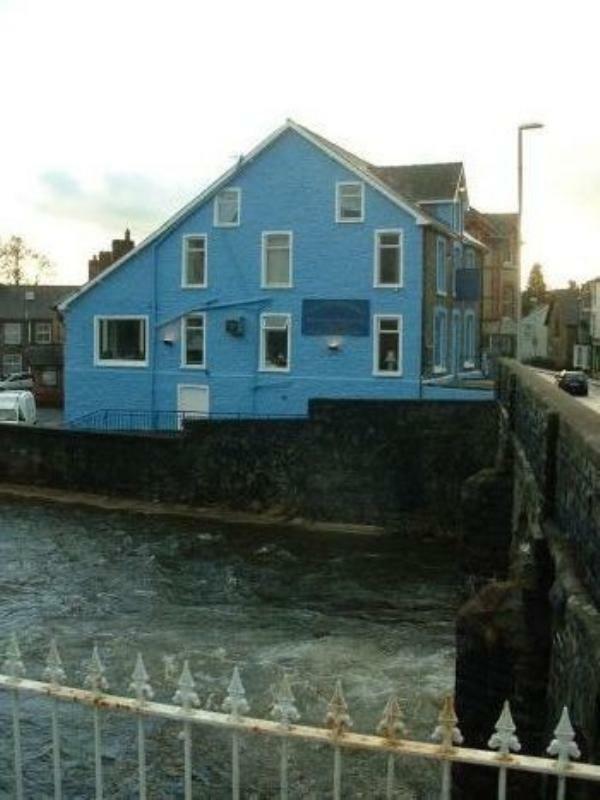 The Carlton Riverside Restaurant with rooms occupies a sky-blue inn on the south bank of the River Irfon, the second oldest building in Llanwrtyd Wells, and said to be the smallest town in Britain. The restaurant has a pleasing traditional décor with high-backed leather chairs set against well-spaced polished wood tables, and a large picture window with lovely views of the river and the old stone bridge. Food is a big draw here and Head Chef Luke Roberts provides a well-executed menu that has seen the restaurant awarded two AA Rosettes. So expect dishes in the shape of duo of cod, creamed leeks, charred spring onion, crispy leeks, parmesan or for meat fanciers there's Carmarthen ham, pea and shallot salad, pea puree and parmesan crisp. When it comes to main courses there's rack of Welsh lamb, leek croquette, parsnip and vanilla puree, tender stem broccoli and Madeira jus or from the sea pan-fried fillet of cod, sauté potatoes, pea puree and petit pois. Make sure you leave room for one of their delicious desserts, witness hot honey and banana soufflé, grilled banana and white chocolate sauce or chocolate fondant, raspberry jelly, apricot puree, fresh raspberries and honey ice cream. The wide-ranging wine list has been curated by Alan Gilchrist featuring more than 80 bins, as well as a fair choice of half-bottles.